Corsican Places 2013 holiday brochure is out now. 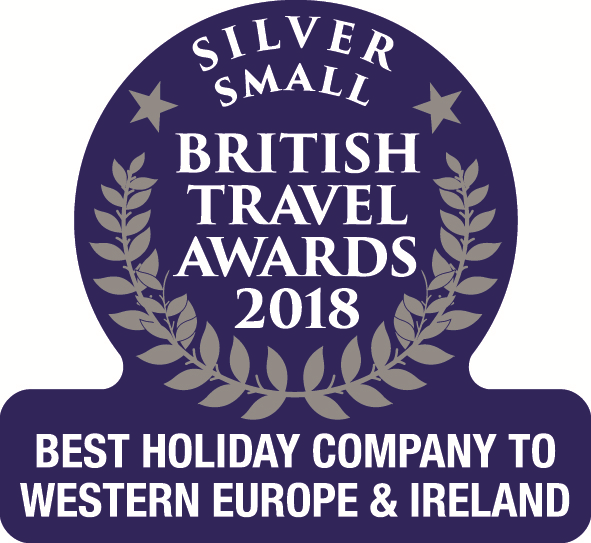 With 26 years’ experience, the leading tour operator continues to be the UK Corsica specialist, chartering flights to the island, as well offering the widest range of villas, apartments and hotels across Corsica – currently over 150 handpicked properties with 15 new additions – with more properties year on year. Following its new 2013 brochure going to print, Corsican Places has announced a second new flight service for 2013: Bristol to Bastia (North East Corsica) during the summer with bmi regional. The weekly Sunday flight service will run for 13 weeks from 23 June to 22 September and represents Bristol’s only flight route into Corsica. Complimentary pre-allocated seating, convenient departure times and quality service are once again key features of flying with Corsican Places. Corsican Places adds to its collection throughout the year. New additions featured within the 2013 brochure include the contemporary ‘Premium Collection’ four-bedroom Villa d’Occi in Sant’Ambroggio. In 2013 the 100th edition of the Tour de France will commence in Corsica for the first time with the three stages of the race taking in 500 kilometres of the island’s unique landscape. To celebrate this much-anticipated event, Corsican Places suggests things to see and do and places to stay to mirror the three key routes of the ride. Inspired by the Tour de France, Corsican Places will offer free bike carriage on its Stansted – Calvi charter flight. New for 2013, Corsican Places will collaborate with a local cycling specialist in Corsica to offer guided & self-guided cycling holidays to its customers. Sample cycling itineraries include ‘Coastal Cycling around the Cap Corse’; ‘Cap Corse to the Castagniccia’ and ‘A Taste of the Tour de France’. For more information, as well as general advice on cycling in Corsica, see the above link. Corsican Places is pleased to announce that it will be working with another local Corsican company to provide walking (guided & self-guided) holidays in Corsica during 2013. A choice of themed walking holidays has recently been added to the Corsican Places’ website, which the tour operator can package with flights and wide range of accommodation. Sample itineraries include ‘Corsican Island Mystery’; ‘Sea & Mountains’ and ‘Mare a Mare South’, and in each case the difficulty level of the walk is stated. The ‘Donkey Trekking’ walking tour may be of particular appeal to families. Although not new to its programme, Corsican Places has outlined sample Touring Itineraries for the first time within its 2013 brochure to remind customers that they are welcome to tailor make their personal exploration of the island suited to their own requirements. ‘Explore Authentic Corsica’; ‘Corsican Highlights’ and ‘Sardinia and Corsica Twin Centre’ are the three taster itineraries presented. A selection of Early Booking Offers is available on 2013 holidays, valid if booked by 31 January 2013. These include ‘Savings of up to £100 per Couple’ and ‘Family Savings of up to £400 per booking’. These offers apply when travelling on a Corsican Places’ charter flight: Stansted - Calvi, Manchester -Calvi, Heathrow – Figari, or Bristol - Bastia. Please visit www.corsica.co.uk/offers for more information. This season (2013), holidays with Corsican Places start from £399 per person (four sharing), based on seven nights self-catering in a two-bedroom apartment, including flights and transfers.